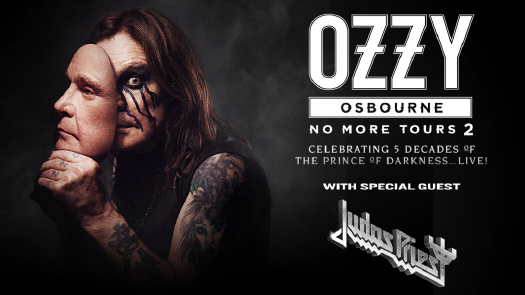 Rock and Roll Hall of Fame inductee and Grammy®-winning singer and songwriter OZZY OSBOURNE today revealed details about his forthcoming “NO MORE TOURS 2,” a reference to his 1992 “No More Tours” trek. The announcement by the legendary musical icon about the European dates extends the North American tour, announced earlier this year, with his long time collaborators Zakk Wylde (Guitar), Blasko (Bass), Tommy Clufetos (Drums) and Adam Wakeman (Keyboards). The 2019 European leg produced by Live Nation kicks off in Dublin on 30th January with dates scheduled throughout the UK, including a night at London’s O2 Arena before continuing through Germany, Sweden, Switzerland and Italy before concluding in Barcelona on 3rd March; OZZY will be joined by special guest Judas Priest on the tour. Tickets for these shows go on sale to the general public starting Friday 7th September at 10:00 AM (local time) at LiveNation. This summer saw OZZY go solo on the European festival circuit, with headline performances at Download UK, Paris and Madrid, Firenze Rocks, Copenhell, Grasspop Metal Meeting and Sweden Rock Festival.